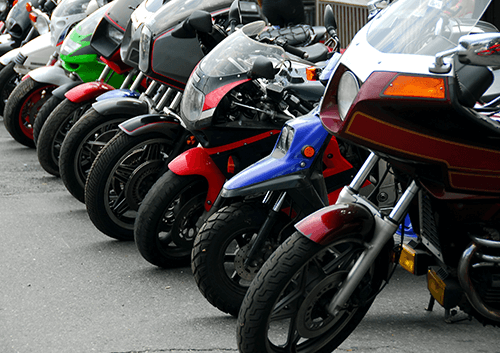 Here at WeWantYourMotorbike.com, we take great pride in assisting a great number and variety of people to sell their motorbikes quickly. 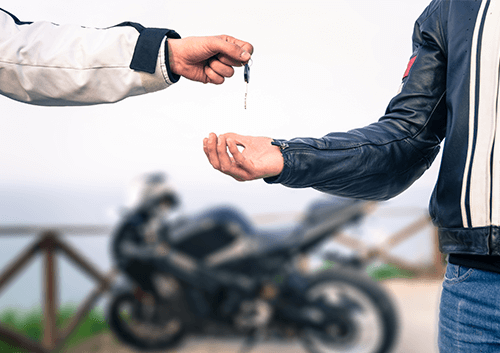 Indeed, a great number and variety of people are likely to appreciate our ability to value a bike on the same day that we are requested to before buying the bike within 24 hours. This includes, of course, celebrities - and you might have underestimated how many UK-born celebrities are enthusiastic about motorcycles! Both of these princes have been in the news recently, with William expecting to become a father in July and Harry having been photographed almost exposing his - so to speak - Crown Jewels. However, less well-publicised is their fondness for motorcycles. In 2008, the princes motorcycled for an eight day charity biking trip over more than 1,000 miles across South Africa, while William was rumoured to have received a Ducati Diavel Carbon as a present following his tying the knot to Kate Middleton in 2011. Boys, if you're reading - both of you can sell your bike quickly thanks to WeWantYourMotorbike.com, and if you can't, off with our heads! But you can... which is a really big relief for us. Phew. Scottish actor Ewan McGregor has proven during his appearances in the Star Wars films that he can be handy with a light-saber, but we reckon that he'd be even handier with a motorcycle! That's because he and English travel writer and actor Charley Boorman have done much to increase the popularity of motorcycles worldwide thanks to their TV documentary series 'Long Way Round'. Ewan, Charley, if either of you are reading - you can sell your bike especially quickly thanks to WeWantYourMotorbike.com! Upon moving to the United States to play for Los Angeles Galaxy, possibly the world's most famous footballer developed, upon the encouragement of his friend, Hollywood actor Tom Cruise, a new hobby: riding motorcycles! 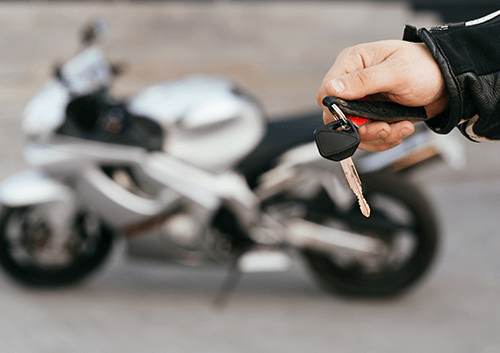 We reckon that the man famously dubbed by his wife, the former Posh Spice, "Goldenballs" would score - sorry, we know that it's a terrible metaphor, but we couldn't think of a better one - by opting to sell a motorcycle with the help of WeWantYourMotorbike.com. So, Becks, if you're reading this - would you like to sell your bike quickly? We reckon that our service is golden, not balls! One big similarity between the English actor Hugh Laurie - yes, he of Blackadder fame - and his character in the internationally popular TV series 'House' is a great fondness for motorcycles. Laurie has revealed that his love of motorcycles dates back to his teenage years and that, since then, he has - in his own words - "been hooked". Of course, Hugh, if you're reading, you seem to have put your days as a comedy actor well behind you, and it's no joke that you could sell your bike quickly thanks to WeWantYourMotorbike.com.